It has become our national habit to crib about the law and order situation of the country. We criticise crimes but never take our role as citizens seriously. Yet, with our cooperation, the law and authorities can make a lot of progress to uphold justice. 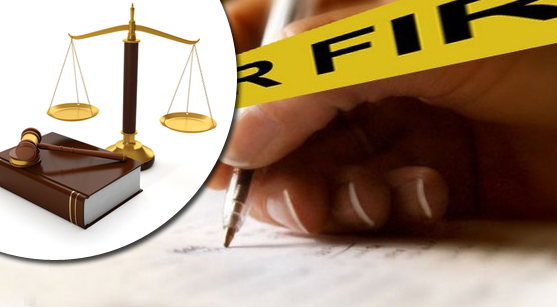 With some basic information, the FIR can become the most powerful legal tool for us, the normal citizen. Just as the name suggests, a FIR is just the first report taken by the police. It sets the criminal investigation in motion. Without this being documented, the legal procedure cannot begin. The informant goes to the police station to place a FIR. He/she/they present the information to the Officer in Charge. The entire information is then put into words for maintaining a record in the books. The report is then read to the persons/persons who filed the FIR. The FIR is then signed by the informants. Our criminal procedure code of india provide this, under Section 154 (1). Under Section 154(2), any informant can have a copy of the FIR, free of cost from the authorities. Section 154 (3) states, that no Officer-in-Charge can deny taking down a FIR. In such a case, an informant can inform the Superintendent of Police by post. The authorities will take necessary steps. It is essential to know that we can file a FIR through a telephonic conversation with the authorities. This service can potentially change a lot in filing FIR. a) To help citizens to begin the criminal law procedures. b)To enable the police authorities begin investigation of criminal activities and bring the accused to justice. a) The information must be precise and specific. That means if you need to file a FIR, please take the time to make a coherent narrative of all the events before you contact the authorities. b) Naming accused or under which circumstances the crime occurred are not necessary information in case of lodging a FIR. c) No FIR requires evidence of any kind. Please remember a FIR is the point from which the authorities start investigation. d) No time limit is prescribed for lodging a FIR. The Indian Constitution and penal codes understand and respect that a FIR sets off a series of serious legal investigations. e) A FIR cannot be changed under any circumstance. However, an order from a High Court or the Supreme Court can alter the report. As responsible citizens, we should remember and respect the importance of a FIR. As this involves serious social and legal issues, a simple step of lodging a FIR can mean a lot for a lot of lives.